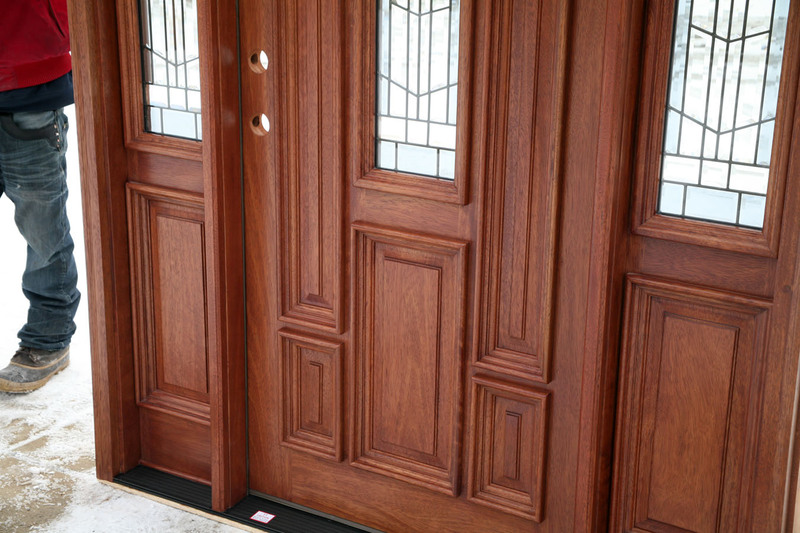 hand-fitted miters,	raised mouldings on both sides of exterior door, and floating panels. Glass: 3/4" thick Insulated Tempered Glass, Clear Beveled Glass, Grey Beveled Glass and Patina color Caming. Color: Antique Cherry. Finished using the latest Technological Exterior UV inhibitor Stains and Polymer Sealers. 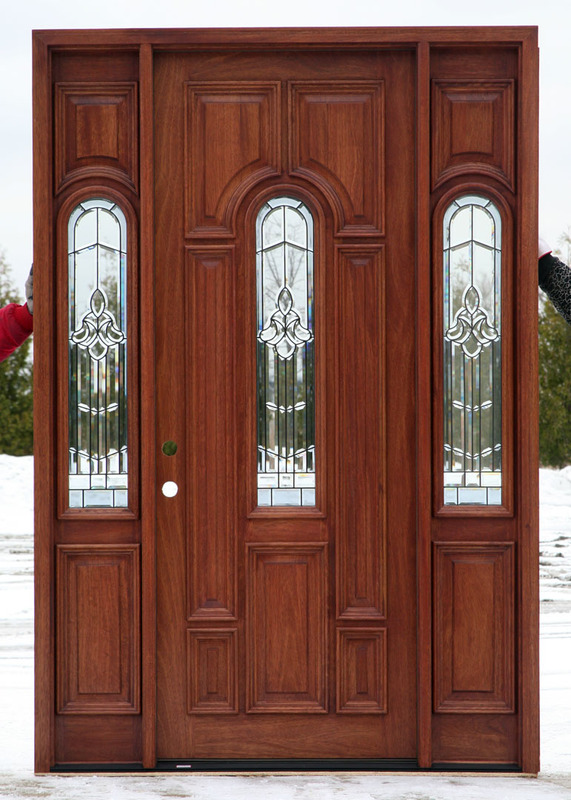 Rough Opening: 65 1/2" x 99"
A combination of clear beveled glass and baroque glass and clear beveled glass with black wrought iron design decorative leaded glass doors for exterior use on homes or business'. We have sold this design of decorative glass doors for homes all over the USA and Canada and customers agree that this is our most popular exterior glass door design we have to offer today.